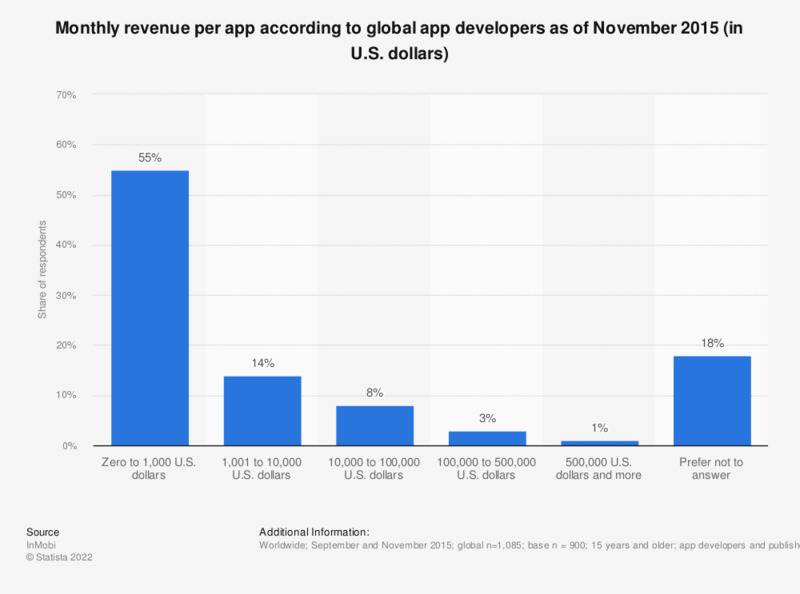 This statistic ranks the global monthly per-app revenue according to global app developers as of November 2015. According to the industry survey, 55 percent of responding app developers earned 1,000 U.S. dollars or less in a month per app. Only one percent of respondents generated more than 500,000 U.S. dollars in monthly app revenues. Original question: How much revenue per month do you generate from mobile apps on your primary platform and all other platforms combined (on average, in U.S. dollars)? Revenue numbers exclude China, Japan and Korea markets.